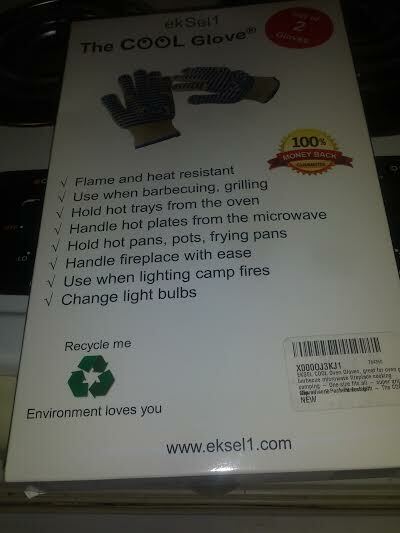 I've been using the EkSel1 Cool Oven Gloves for the past few nights. The are REALLY heavy. But that's okay as they keep the heat away much better (and longer) than my regular cloth oven mitts. The gloves I received are a bit big for me as I have small hands. However, they allow for movement and great dexterity. That's a plus -- they aren't stiff and unyielding at all. They are comfortable to wear. I really like the long cuff at the bottom as well. Keeps the wrists protected from spills or burns. 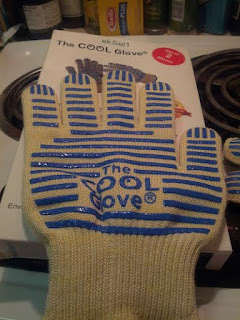 I've been able to successfully use the gloves for up to 450 degrees. About 20 seconds before you feel real heat coming through. 20 seconds is generally long enough to remove a hot item from grill, oven, microwave, or stove top. Easy to clean, put a little dish liquid on the gloves, swish around in cool water. Rinse well and lay flat on a towel to dry. Hey, presto! Clean and ready for the time. I wouldn't toss in the dry, though. Overall, I am really happy with my gloves. They perform well for me. I much prefer them to anything else I've used in my kitchen or the grill. Do you see those silicone strips? 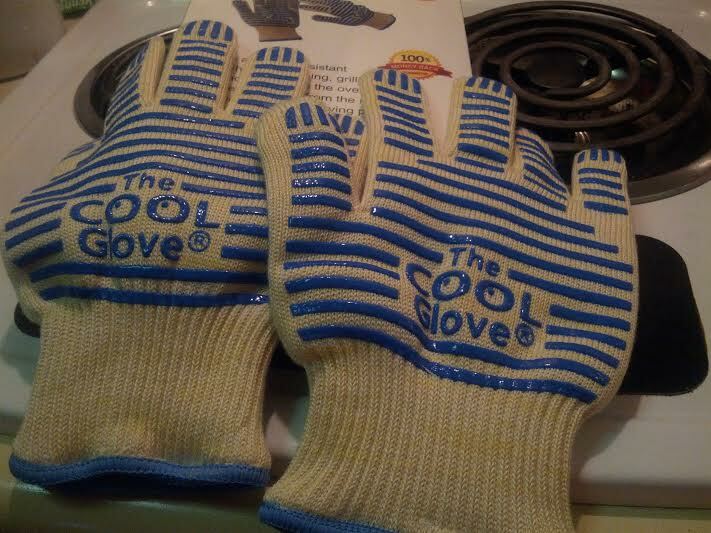 They are on both the front and back of the oven gloves giving you maximum coverage and protection. There is also an interior liner to help keep your fingers and hands cool. 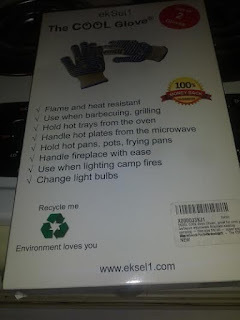 You can use these gloves for so many purposes: change a light bulb, stoke a fire, transfer items from the grill to platter, carry hot pans or skillets, etc. 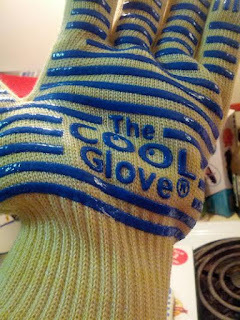 These gloves are versatile and extremely useful! I received these gloves for the purpose of review. All opinions expressed herein are my own and based on my own use of and experience with the item.